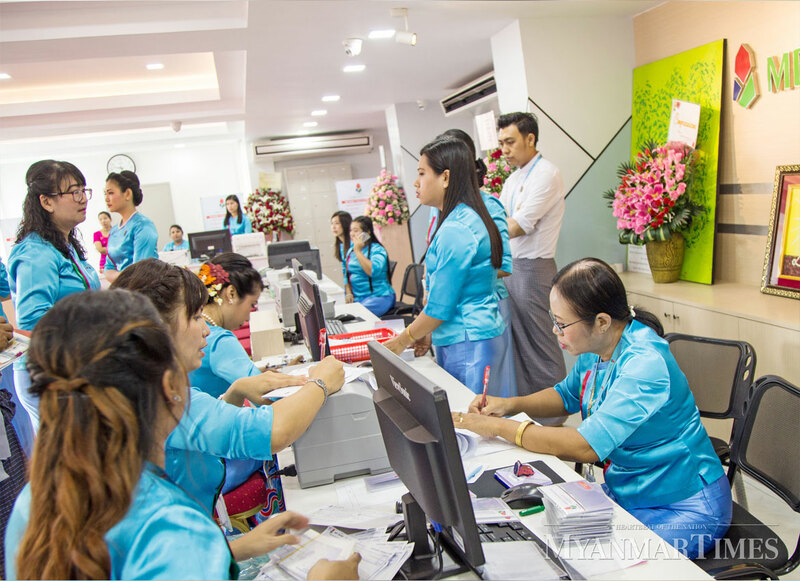 Myanmar yesterday opened the first Mineral Development Bank (MDB) to provide banking services to small and medium size enterprises (SMEs) in the gems and mineral sector. “The MDB was established to provide loans for developing technologies in the extraction of gems and minerals and production of finished products,” said U Ohn Win, Minister for Natural Resources and Environmental Conservation, during the opening ceremony. U Yone Mu, chair of the MDB, said the bank will adhere to the capital requirements of the Central Bank as well as its interest rate policy. The MDB will also extend loans without collateral if the transactions are approved by the Central Bank, he said. “Our country needs to move up the value chain into finished products. The MDB will start from assisting and providing financing to those who are running their own businesses,” U Yone Mu said. As there are many SMEs involved in the sector, the ministry has a vested interest in developing and driving growth in the sector, he added. For the right to handle foreign currency, the MDB will apply for a license from the CBM three months after the bank’s opening. To qualify for the license, the MDB must show US$5 million in capital. If approved, the bank will also offer services to sellers at international gem expos, said U Yone Mu. The opening of the MDB comes as the annual Gems Emporium is taking place in Nay Pyi Taw. So far, a total of 50 gem lots have been sold, fetching a total of K795 million. The emporium will continue until Saturday.